As a follow-up to her best-selling memoir, Pockets of Joy: Deciding to Be Happy, Choosing to Be Free, author Roxane Battle created the Pockets of Joy Journal to inspire you to write down your very own pockets of joy--the times in your life, however fleeting, when you were truly happy. The journal, sure to become a keepsake, reminds us that we must be intentional about seeing joy; it's all around us, if we look for it, especially when life gets a little hard. Bound in beautiful French blue leatherette, the Pockets of Joy Journal is the place to write down your happy memories and have them for keeps. The Pockets of Joy Journal may become the best book you've ever read, for the simple reason that it was written by you So what are you waiting for? 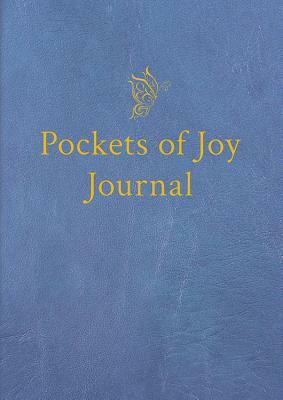 Start writing and become part of the #pocketsofjoy movement.